I have a crazy busy weekend planned. During the days I’ll be making appearances at ComicCard and Anime Detour, and in the evenings I will be on stage at the Bryant Lake Bowl as a guest performer in Vilification Tennis. Whew! Here are all the details! Saturday March 28 I will be a Guest at ComicCard along with fellow comics creators Dave Wheeler, Frank Fosco, and Dave Strong. ComicCard brings the best of comic books, sports cards, memorabilia and pop culture collectibles under one roof, and will also feature sports guests including former Vikings Tommy Kramer and Henry Thomas. I will be selling comics, comic art and print as well as doing sketches. 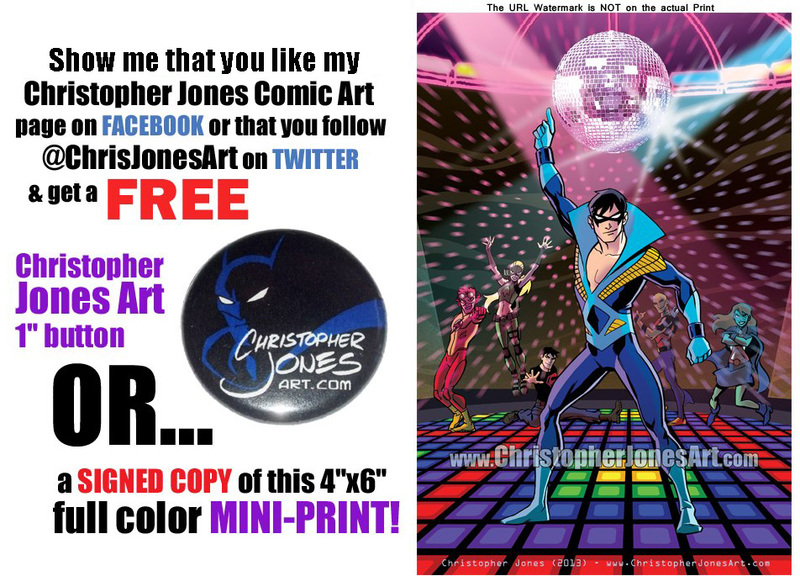 I’ll also have free mini-prints for my Facebook and Twitter followers! Admission is only $5 and kids get in free, so stop by and say hello! Of course Anime Detour is also this weekend and I didn’t want to miss out on seeing my fans there, so I’ll be there but on Friday and Sunday ONLY. Look for me in the Featured Artists section on the second floor. I’ll be selling art prints, original art, custom sketches, comics, and I’ll have FREE mini-prints for my Facebook and Twitter followers. And, since it is an anime convention, I will of course don my very beautiful flower crown. Because, as was established at Anime Detour last year, I AM A PRETTY PRINCESS. If that’s not enough opportunities to see me this weekend, I’ll also be a guest performer in Vilification Tennis at the Bryant Lake Bowl on Friday & Saturday at 10pm each night. It’s the annual Game Show installment of everyone’s favorite foul-mouthed Twin Cities comedy show. Tickets are $15 at door, $12 advance purchase or with Fringe button or with CONvergence badge. Sunday night I will hopefully be resting comfortably at home, and (hopefully) not in the Intensive Care Unit of a local hospital. 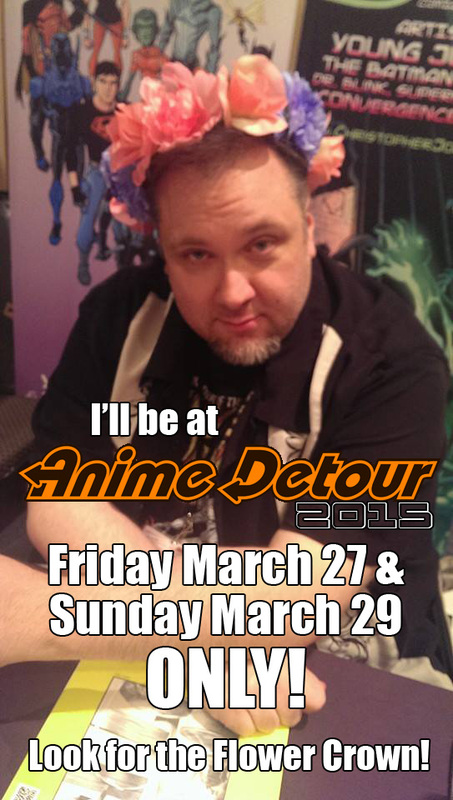 I’m going to be a guest this weekend at Anime Detour 2014! It will be my first anime convention and, to be honest, I’m not quite sure what to expect. But I have no doubt that it will be a lot of fun, and I’m sure I’ll meet lots of Young Justice and Batman fans! 6:30pm – Young Justice & The Batman Strikes! And with that, I’m heading to the Anime Detour Guest reception… can’t wait to meet a lot of cool people this weekend at Anime Detour! 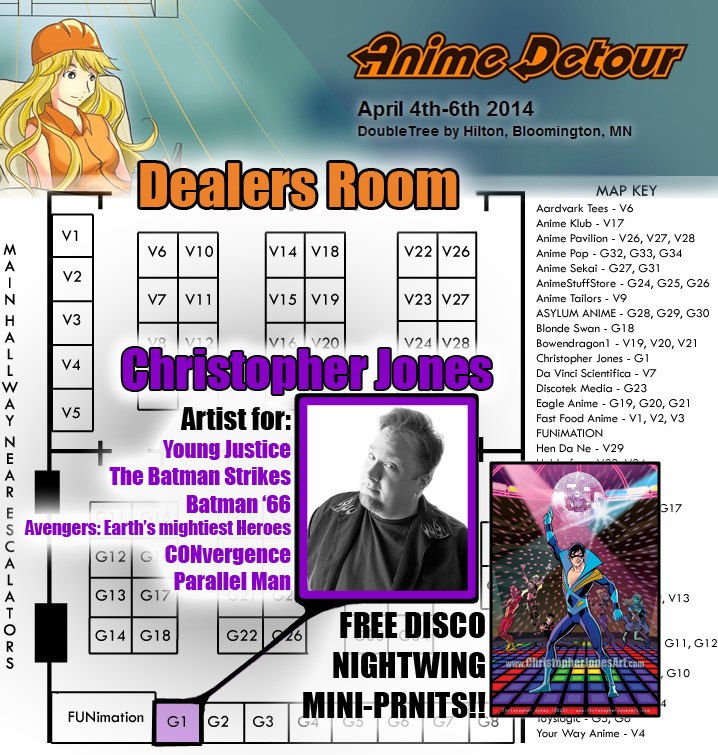 Conventions | Christopher Jones | April 3, 2014 8:30 pm | Comments Off on Anime Detour 2014! There will be a Young Justice meet-up (TBA), and I’m hoping to drop in on some other meet-ups while there, so if you are running one you think I’d be interested in, let me know! ESPECIALLY a tumblr meet-up. That would be cool. I’m submitting some panel ideas of my own about comic art, but if you’re running a panel you would like me to be on, assuming it would fit in my schedule, I’d be more than happy to join you! I love participating on fan-run panels! I will have a table all weekend in the dealer area so you guys can find me, and I WILL have signed Disco Nightwing mini-prints and probably some other goodies for FREE for my followers. Photos & signatures are also always absolutely FREE. I’ll have $5 prints and $20 prints available. Also, since this is a convention in my city, I’ll be able to bring my whole stash of comic books for sale. I will have Young Justice trade paperbacks and if you’re looking for The Batman Strikes comics, I have lots! Anime Detour 2014 will be my first Anime convention and I am really looking forward to it! I will admit I haven’t watched much anime in the past decade, but there seems to be a whole lot of crossover with Doctor Who, DC Comics and more in the Anime crowd so I’m sure I’ll be right at home! Stay tuned for more details as plans are finalized!